With more than double the space of the old building, we've really grown into our new offices. Come and visit us on Milbourne Street on the 2nd floor of the People First Conference Centre. See our classrooms, 1-2-1 tutoring rooms, and examination suites. 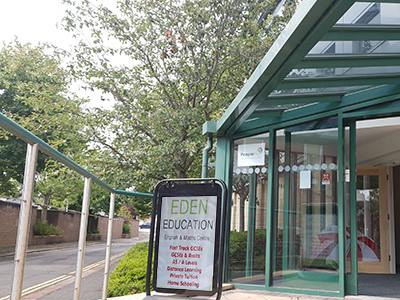 We're able to run GCSE and A Level classes, Fast Tracks and revision sessions alongside private tutoring from the comfort of our custom-built facilities. Not to mention having much more space to allow private candidates the chance to take their exams at our Centre.